I'm so much more limber since I've been taking Adequan. Aging felines suffer the aches and pains of arthritis just like people. 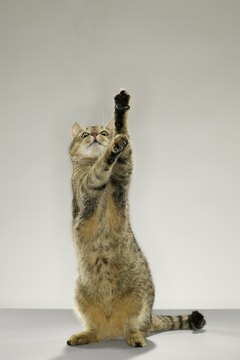 If your older cat isn't as spry as he once was, or his joints seem creaky, Adequan might help. 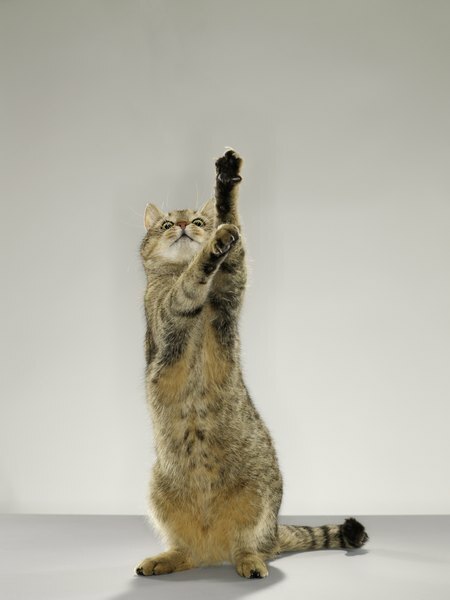 This injectable medication aids in lubricating those joints, helping to keep Kitty as limber as possible. Adequan consists of polysulfated glycosaminoglycans, especially chondroitin sulfate, produced from bovine windpipe cartilage. In addition to increasing lubrication in joints, it also helps repair cartilage and inhibits cartilage destruction. Adequan is generally safe when used in conjunction with other arthritis medications, both over-the-counter or prescription. If your vet recommends Adequan for your kitty, you should still tell her about any supplements or pharmaceutical products he takes. Sometimes the onset of arthritis in Kitty is obvious. He's moving slowly, getting up from a prone position takes some time, and stiffness is apparent. Since cats are notoriously self-protective, you must also notice what he's not doing any more. No more jumping on counters or racing up the stairs? No longer sleeping or bird-watching in favorite, hard-to-reach places? Arthritis could be the culprit. If Kitty's no longer the fastidious gentlemen he once was, that could also be a sign of joint pain. Grooming those out-of-the-way spots on his body causes discomfort. For the first month of Adequan administration, you'll bring Kitty to the vet twice a week for his intramuscular injection, until he's had eight shots. By that time, you should see a difference in Kitty's movement. If he's improved, he'll continue receiving Adequan as per your vet's recommendation. It might be every two weeks, monthly or whatever time period your vet thinks is necessary for Kitty's "tune-up." Most cats don't experience any side effects with Adequan, although felines with blood-clotting disorders shouldn't receive the shots. You should also avoid giving it to pregnant or lactating cats. Adequan isn't used just for joint health in cats. Some vets may prescribe it for cats suffering from certain forms of feline lower urinary tract disease. FLUTD was formally known as feline urological syndrome (FUS) and is also referred to as feline idiopathic cystitis. Using Adequan on a cat with FLUTD might help strengthen the bladder's mucous lining, preventing inflammation that may cause urinary tract diseases.